Boys’ Latin School never trailed in Tuesday’s MIAA A Conference basketball quarterfinal playoff game with sixth-ranked St. Vincent Pallotti, in Roland Park. However, the No. 5 Lakers’ thrilling 56-54 victory, which advanced them into Thursday’s semifinal round at top-ranked St. Frances Academy, was no walk in the park. In the end, it took a lot of defensive grit, some clutch shooting and a little Grace to get Boys’ Latin (24-7 overall) into its first MIAA A final four match. The Grace came in the form of junior guard Sam Grace, a four-sport standout, who drained a pressure packed three-pointer, with just 10 seconds to play, breaking a 53-53 tie and providing what ultimately proved to be the winning margin. Following Grace’s trey, Pallotti pushed the ball up court where junior Ronnell Giles was fouled while attempting a would-be game-tying three pointer. The shot did not go, but Giles did go to the line, with 0.2 seconds to play, with a chance to tie the game. After his first shot came up short, he made the second and then intentionally missed the third in hopes that one of his teammates could tip-in a tying bucket. That did not happen and the Lakers survived with the win. Grace, who kicks and punts of the BL football team and stars on the soccer and baseball teams, came off the bench in the closing sequence specifically to be in position to take that type of shot. Rees made sure to point out the other key contributors who were absolutely vital to the victory. Andrews actually fed the ball to the wing to junior Cameron Spencer, who got the winning assist when he funneled into the corner where Grace was abandoned by the Panther defense. Although Giles was unable to convert the late free throws for Pallotti, he was the primary reason Coach Dennis Murphy’s Panthers were in position to challenge at the end. Pallotti (23-10) trailed at the half by eight and the Panthers were down 42-35 after three quarters. Giles, a 6-foot-4 junior guard, poured in 10 points in the 4th quarter to make the game close. He finished the night with 18 points to lead the Panthers and teammate Sam Cannady had 11, seven of which came in the final stanza. Boys Latin’ was led by Andrews’ 21 points. Andrews also did an outstanding job of creating off his dribble, driving to the hole or drawing the defense and kicking it in or out to an open man. Spencer, who nailed a deep three to close out the first half and spark the Lakers as they went to the locker room at intermission, finished with 14, as did senior Kenny Lewis. Spencer pointed out that Grace produced the assist on his second quarter three. With his team’s season now complete, Murphy preferred to focus on the excellent effort of both teams, rather than any specific moment that may have swayed the outcome. “First of all, Boys’ Latin is a very good team,” said Murphy. “They’ve got good players, obviously; Cliff does a great job and we knew they were the two seed for a reason. 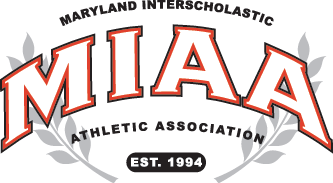 In Tuesday’s other MIAA A quarterfinal games, St. Frances dispatched Mount Carmel, 64-42; second-ranked Mount St. Joseph pushed past McDonogh School, 49-40; and No. 3 John Carroll School routed Calvert Hall College, 88-72. St. Joe will travel to John Carroll Thursday in a semifinal with BL taking on St. Frances. The winners advance to Sunday’s final at Harford Community College..
ST. VINCENT PALLOTTI: Martin. 5, Cannady. 11, Giles 18, Otoo 6, Warrick 6, Carter 2, Mallory 4, Oshinnaiye 2. TOTALS 21 9-19 54. BOYS’ LATIN: Andrews. 21, Spencer. 14, Lewis 14, Watts 2, Grace 3, Bates 2. TOTALS 21 9-16 56. NOTE: VSN broadcast the Boys’ Latin-St. Vincent Pallotti game via Facebook Live and you can see the entire broadcast on the VSN Facebook page.